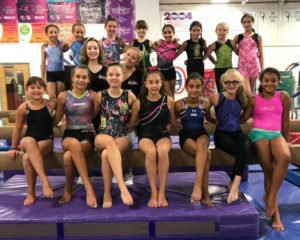 Children who wish to pursue competitive gymnastics may train to qualify and join our Junior Olympic Team. Team gymnasts train year round and are entered into competitions where they compete for scores against other gym clubs. Children are taught the importance of goal setting and teamwork. All gymnasts must compete on all four of the Olympic events. GMGC is currently one of the top competitive programs in the Northeastern United States. Many of our gymnasts have been successful on the National Level and several have received full athletic scholarships to college. Boys who have been training in our accelerated program may qualify to join our Boys Junior Olympic Team. Boys in this program must compete on all six Olympic events. Special emphasis is on strength conditioning and self-discipline. 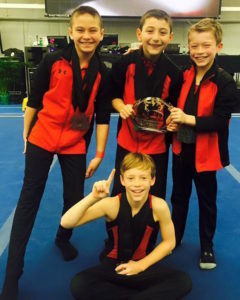 Several boys qualified for the National Championships this year! 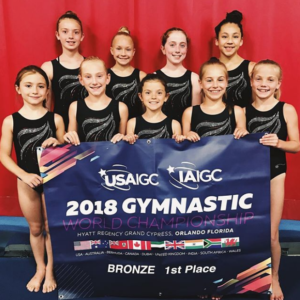 Advanced girls who like the extra training of a team program, but are not able to commit to the high demands of being in the Junior Olympic Program, may join our USAIGC college bound team program. 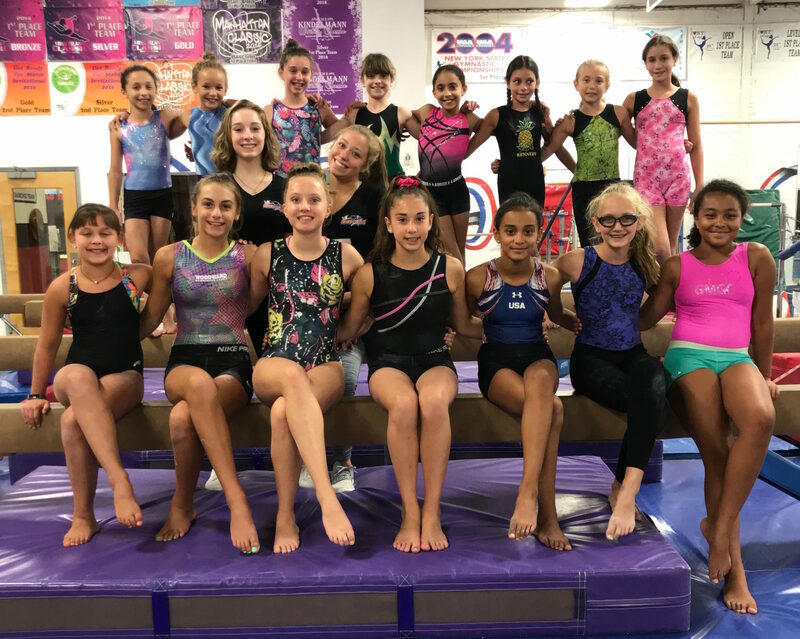 Growing into a popular League to join, these gymnasts learn the importance of teamwork and dedication. Maximum training of 3 days per week which allows for other sports and activities. This is an “In House” team which competes exclusively within the Gold Medal Family of gyms in a non pressured environment. 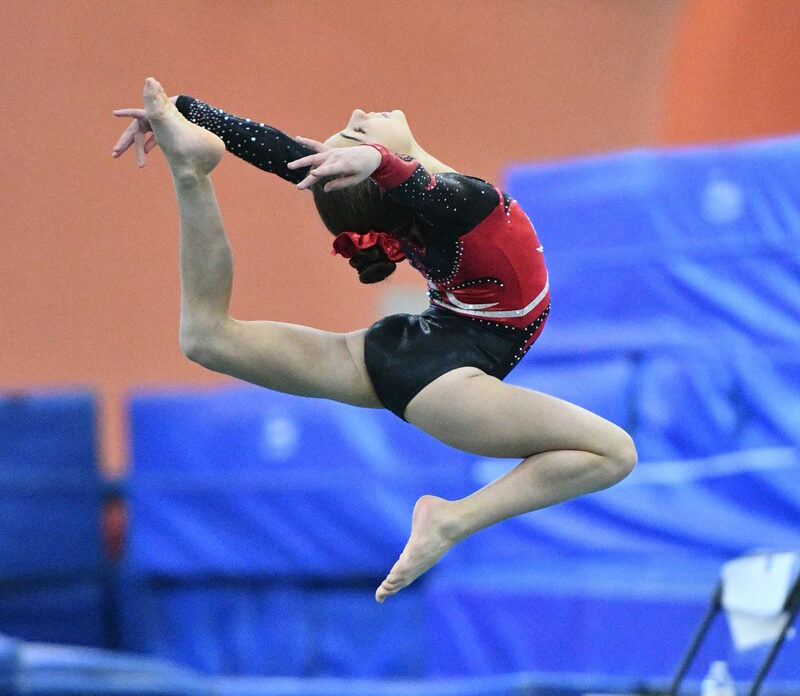 This program prepares gymnast 8yrs and older for high school gymnastics teams. Each class is designed to shape and challenge gymnasts based on their personal strengths and weaknesses. It allows gymnasts to experience a competitive team program without additional travel, practice times and expenses.